Master the skills of a professional trader: Learn to navigate market reality instead of predicting the future. Forecasts don't make money - effective trading techniques make money. Neely River is a comprehensive trading technology that, unlike Wave theory, focuses on trading behavior and risk management techniques, rather than forecasting. As a result, Glenn Neely's students find this strategic approach fundamentally alters their perspective on markets ... and their ability to improve their bottom line. In addition, Neely River trading technology - and our companion TradeStation software - will substantially reduce the time required to plan your market strategies. First month - In this exclusive three-month course, Mr. Neely works with you one-on-one, by telephone. In the first month, he'll reveal an entirely new way of thinking about markets and the forces that drive them. You'll learn about the three types of traders: top and bottom pickers, bargain hunters, and trend followers. Unlike the majority of trading "systems" that try to force the market to fit your particular trading style, with Neely River you'll discover how to track the three types of traders, determine which group is in charge, and then adjust your own trading style to current market conditions. Second month - The focus is on the trading process. You'll learn how to take specific actions to control risk (enter orders, place stops, move stops, exit positions) - based on the group of traders in charge of the current trend. You'll discover how to adjust your strategy based on current facts, rather than future forecasts. Third month - You'll experience real-time, hands-on trading (in your own account) using Neely River trading technology, with Mr. Neely guiding your every step. Due to extremely limited availability, the cost of this private training has been rising steadily. Currently, the Neely River Professional Trading Course is $12,000 US. This includes specially designed Neely River software created for TradeStation (valued at $2,000), which automatically calculates, plots, and draws all decision-based information - leaving you free to focus on what's important: your trading. To reserve the next available time-slot by email, contact Magelan@NEoWave.com. "I have been using Neely River Trading, and the results have been amazing. The losses/drawdowns have become less in both number and value, and the profits are inching up. Thanks again." "Neely River Trading is the best logical trading approach. I'm glad I traveled to Australia to meet you and learn this revolutionary concept. 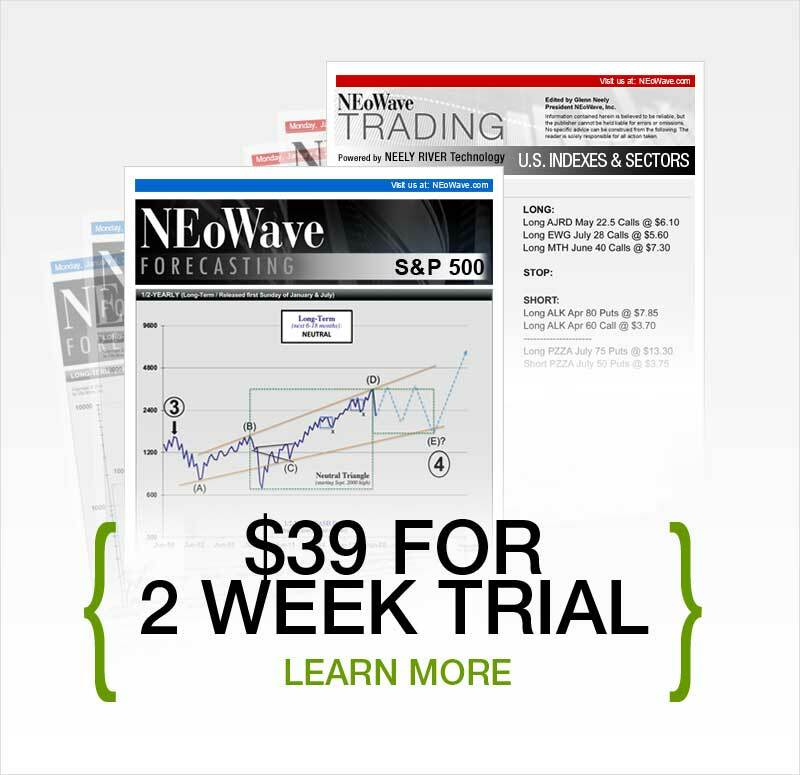 I'm using both NEoWave and Neely River, and my trading success rate has increased dramatically." 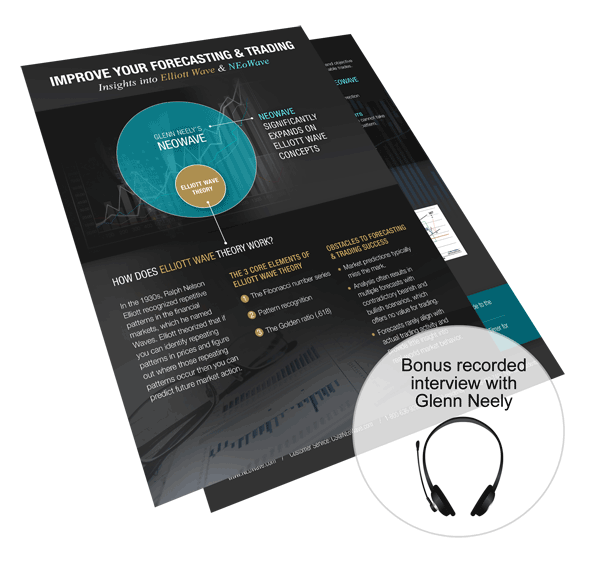 "I've done some trading using your Neely River Trading software program, and it's been fantastic. I've made trades I never would have normally made, and I have made money, thanks to you. I have a trading tool that gives me a great deal of confidence in the market." "You are a genius. 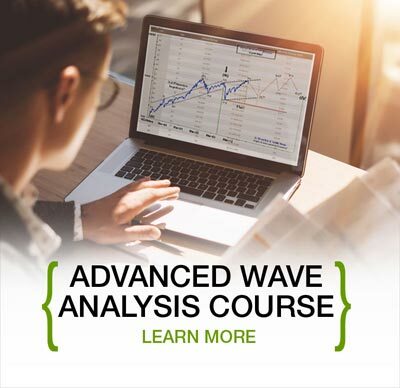 Even though I am an experienced trader, your River Theory Trading course is worth every cent." "Another great call on the S&P. I absolutely LOVE your Neely River Trading when used in the context of NEoWave. It can't (and won't) get any better than that!" "I have been monitoring and following the markets closely, and I love the Neely River Trading software program! What a pleasure to use! Light years ahead of doing everything manually." "This course has been incredibly useful and a revelation for me." Would you like more information about the NEELY RIVER Private TRADING Class?